If you are intimidated by the thought of rolling your own pie dough or baking a cake from scratch, you probably run to your local bakery or grocery-store freezer for dessert rather than make your own. 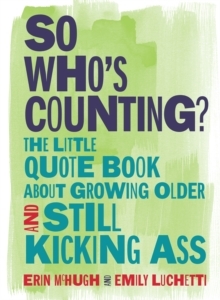 Baking - even for proficient home cooks - can be scary but there is a delicious satisfaction in presenting family and friends with fresh-out-of-the-oven desserts and breakfast breads that you have made yourself. 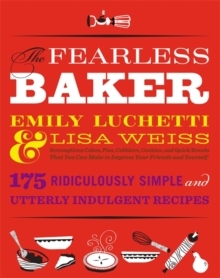 In THE FEARLESS BAKER, renowned pastry chef Emily Luchetti offers 175 delectable and easy-to-follow recipes along with straightforward, lasting advice specifically geared toward beginners. 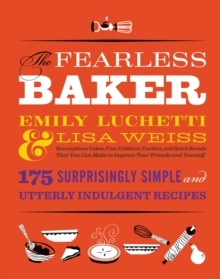 Luchetti and co-author Lisa Weiss arranged kitchen sessions with a group of novice bakers, ordinary folks who enjoy cooking but have always felt nervous about the precise measuring, rolling, folding and mixing that many baking projects require.